Raspberry Cream Tea Cake, $3.99. Located on a table with breakfast items in front of the bakery. Let’s eat cake for breakfast! The house-made raspberry cream tea cake (above photo) can serve as a light breakfast, dessert, or afternoon snack with tea. It’s moist, buttery, and slightly sweet. This cake reminds me of my grandmother’s pound cake. Either way you serve this, it is decadent! A great deal — especially if you split the dish and save for another meal — is the house-made grilled chicken and Caesar salad ($5.99, located in the scratch foods section next to the deli). This container (third item from left in above photo) comes with a nice portion of meat and a side of dressing with plenty of fresh lettuce and cheese. It makes a great light dinner on a warm fall evening. Carrot/Orange Juice 16 oz, $3.99. Raspberry/Lime Infused Water, $1.99. Both found in the Squeeze of the Day section. Thirsty for something that is not full of sugar or preservatives? 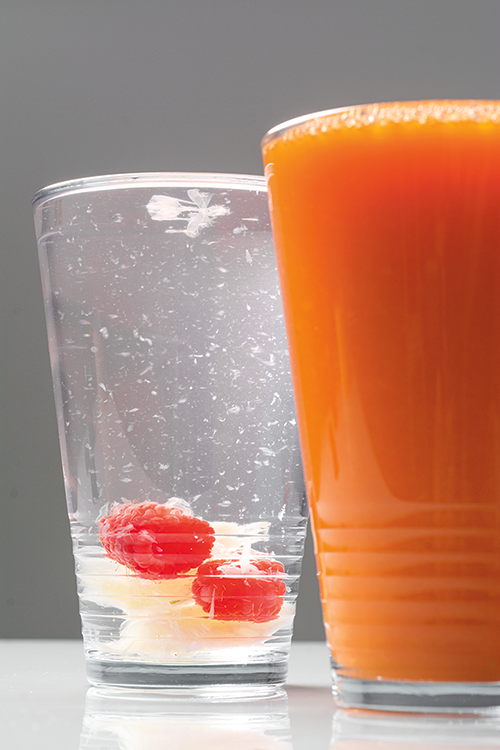 The Squeeze of the Day has an assortment of fresh squeezed and house-made drinks. 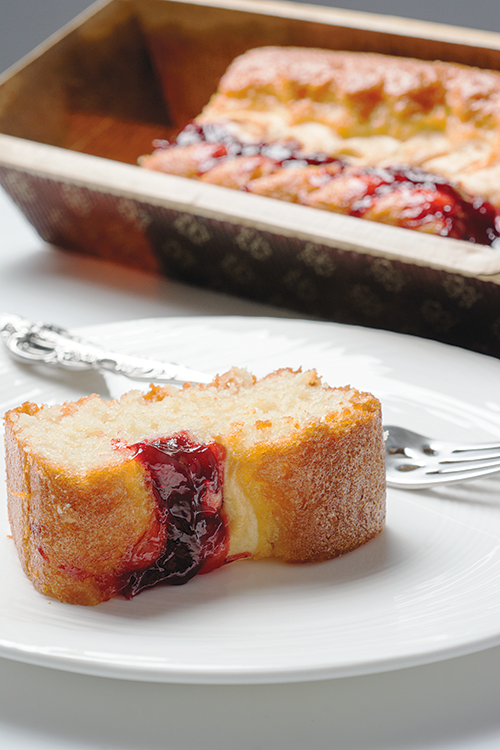 Read about the other dishes you can make with items from Lucky’s in our fall issue.